When dissolving a Delaware corporation, you have ten different options to choose from depending on the type of entity, its activities, the number of shares authorized and the status of your corporation. Should you file according to Section 274 (Dissolution Before the Beginning of Business), 275 (Stock Dissolution), 276 (Non-Stock Dissolution), 391 (Short Form Dissolution) or a combination thereof? 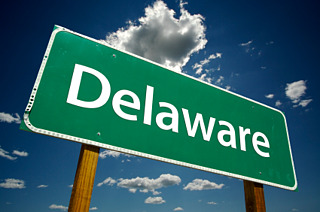 Fees and filing requirements vary depending on the section(s) of the Delaware General Corporation Law chosen. One thing remains constant for all dissolutions; annual reports and franchise tax must be paid up to and including the year in which the dissolution is filed. How Does a Short Form Dissolution Differ? The standard (not short form) Delaware state filing fee for dissolution is $204 plus applicable taxes. This can vary depending on whether a certified copy is requested as evidence and whether expedited services are chosen. However, the short form version, filed according to Section 391, is only $10 plus applicable taxes. Again, this will vary depending on the type of evidence requested and whether expedite fees apply. The corporation has no assets. Business has not begun or the corporation has ceased transacting business. The corporation for each year since incorporation has only been required to pay the minimum tax. All fees have been paid through the current year. The tables below summarize the requirements for the 10 options for dissolution filing. Prior to preparing your document for filing, it is important to consult an attorney or reference the full text of the appropriate sections of the Delaware General Corporate Law to ensure you understand the requirements and ramifications of the different filings. Name and addresses of officers and directors. If none, the document must state there are none and be signed by the majority of the stockholders. Name and addresses of the officers and directors. If none, document must state there are none and must be signed by the majority of the governing body.